There’s no way around it… it will be a monster construction project, the I-395/SR 836/I-95 road reconstruction by the Florida Department of Transportation (FDOT) and the Miami-Dade Expressway Authority (MDX). While it covers a large area, we’re breaking down the greatest impacts for us locally. 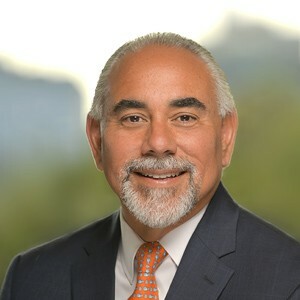 Gonzalez acknowledged, “This is a critical project for the County and the Beach as it affects the thoroughfares that lead into the Beach.” In development since the early 90s, it involves the SR 836, I-95, and I-395 corridors, three major projects that will be done concurrently “to minimize impacts to the public,” according to Gonzalez. The total cost is $802 million and it’s expected to be completed in the Fall of 2023. Closest to Miami Beach is the I-395 construction which involves a complete reconstruction, "improving capacity and safety" by separating local traffic from through traffic. 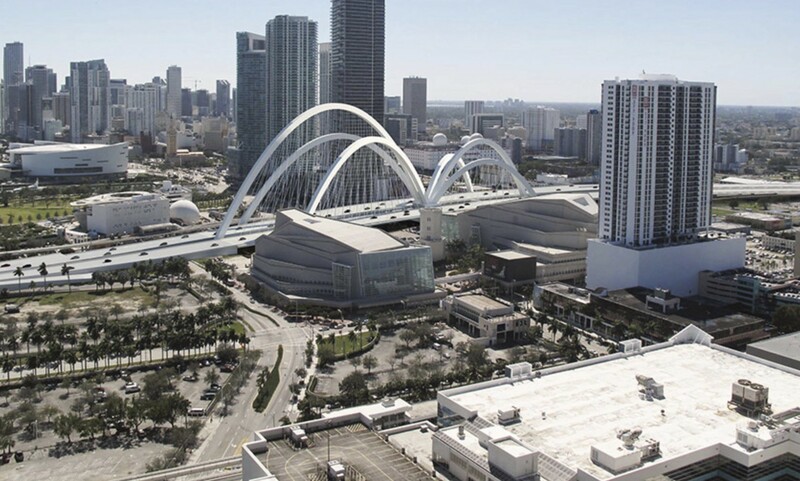 The new Signature Bridge which will span northeast Second Avenue and Biscayne Boulevard consists of six arches, the tallest of which will extend 330 feet into the air, Gonzalez said. The total length of the span will be 1,025 feet. Perhaps the “biggest impact” on Miami Beach, he said is the opening this summer of a temporary, single lane, westbound I-395 ramp to northbound I-95 while a new ramp is constructed. The existing ramp that will be closed during construction has two lanes. As of now, the estimated duration of the ramp construction, and the loss of the one lane, is 18-20 months. Portable message signs will be placed well ahead of closures to provide advance notification to drivers. Message signs will be placed within Miami Beach City limits along Alton Road and 5th Street. Gonzalez said FDOT is “still working” with the contractor, “trying to do everything possible to limit the time that that temporary ramp is open… We’re trying to do better than that” 18-20 months. On the plus side, once construction is complete, residents and visitors traveling to and from the airport and other points west of 17th Avenue will avoid all local traffic due to a double-decked roadway that will separate the local traffic from the through traffic. 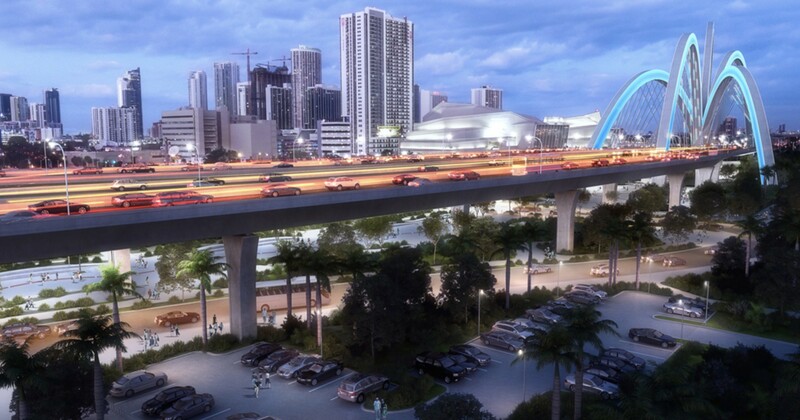 To learn more about the project and subscribe for alerts, visit i-395miami.com.